If you’re planning a trip to Europe and are planning to visit wineries during your visit, there are several important differences to consider. Although wine tourism is becoming more common, you’ll find European vineyards are not as commercialized as their U.S. counterparts. For North Americans, becoming familiar with a wine region is as easy as jumping in your car and hitting the wine road. Whether you’re visiting Napa, Finger Lakes or Willamette Valley, most well-known producers have a tasting room open to the public seven days a week. 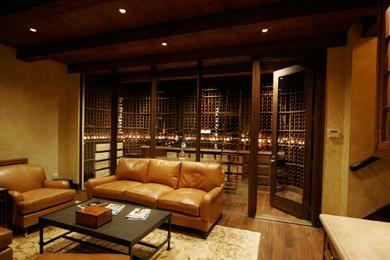 In addition, may offer cellar and vineyard tours, musical entertainment and restaurants. But in Europe, you’ll find a different approach to sampling wonderful vintages. Read on for a few tips to get the most out of your experience. Many European wineries don’t have public tasting rooms. So if you’d like to meet the winemaker and see the vineyards of your favorite producer in Rioja or Tuscany, be sure to contact them well in advance – at least three weeks or more is advisable. This is especially important if you’d like to do more than just sample wine. In some of the more popular regions, you may come across open tasting rooms — but don’t count on it! Keep in mind that European opening hours are different. In the U.S. and Canada, most people visit wineries on the weekend. In European countries, you’ll find many establishments are closed then so the winemaker can have a weekend, too! Not sure where to go? 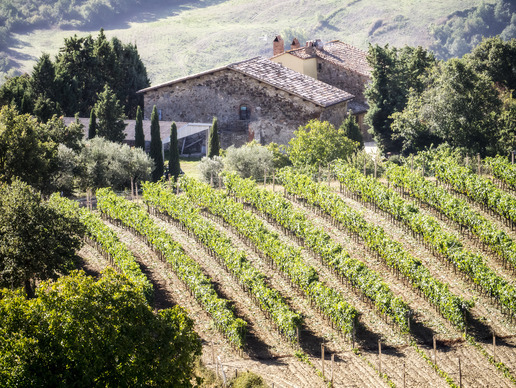 Some famous villages have regional tasting rooms located in the city or village center, including Caveau de Gigondas in Provence, France; Boutique Marché aux Vin in Beaune, France; and Enoteca Italiana in Siena, Italy. These are great options if you’d like to learn more about a region or aren’t sure which wineries welcome visitors. In these villages you’ll find helpful staff who can assist in making appointments and provide information on the various local producers. You’ll find a host of helpful information online. Check out the tourist offices and regional wine boards or associations for the areas where you’ll be travelling. Many have pre-planned wine routes and are happy to assist you in making reservations. Another option is to hire a professional wine guide who knows the region, vineyards and local winemakers. Before you go, read up on some basics such as the grape varieties the producer grows, a bit about the history of the estate or the types of soils they have. The owner or winemaker may even be friendlier and more accommodating if they know you take an interest in their property. Be sure to confirm with the winery a day or so before your scheduled time. Once you arrive, allow a minimum of 1½ to 2 hours per visit. Many wineries have small signs placed at a country crossroads. But it’s possible you’ll find no signs at all! GPS and services such as Google Maps are great tools, but be prepared to make a few wrong turns along the way. It’s all part of the adventure. Vineyards may be beautiful, but they’re often steep or rocky. You never know what types of critters may be lurking between the vines! Wear comfortable, sturdy shoes. Non-slip soles are important for visiting the cellars where the floors are often wet and a bit slippery. Be sure to take a sweater or jacket. Even when it’s warm outside, the cellar and production areas of the winery will be chilly. Learn the basics of wine tasting before you leave home. Don’t think you must drink every drop of every sample poured. You’ll find spittoons in the tasting rooms and cellars. It’s perfectly acceptable to dump out some of your wine. Spitting is acceptable and encouraged. Most establishments understand you’re traveling and can’t purchase large amounts of wine to ship to the U.S. Yet keep in mind they’re wine business owners, and some may make the bulk of their sales at the cellar door. It’s polite to take home one or two bottles of your favorites, and it never hurts to inquire as to which wines are distributed back home. About the author: Hilarie Larson is a Certified Specialist of Wine, French Wine Scholar and Wine Educator who loves to write and teach about wine in all its many facets. She received the “2013 Emerging Writer Scholarship Award” from the International Food, Wine and Travel Writers Association. Visit Northwinds Wine Consulting to learn more about bringing the enjoyment of wine to your private or corporate event. 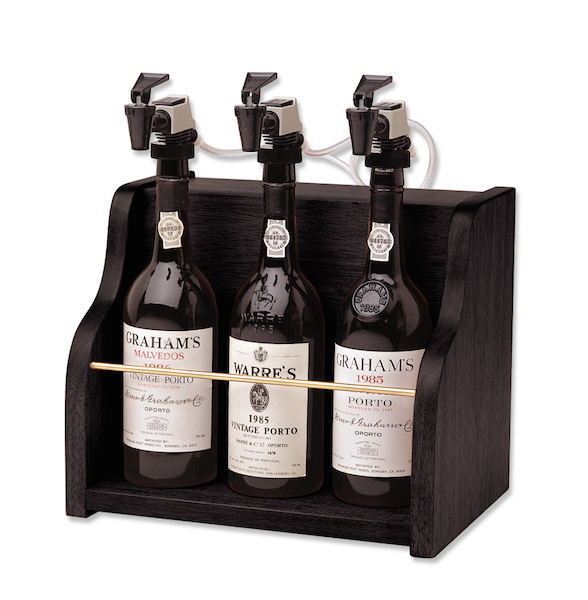 Wine Dispensers: Which Wine Preservation System is Right for You?